We are quite pleased to announce the introduction of 2 new Brick Yourself products being launched today. The “Make Your Own”Figure” as well as our new Premium Figures & Service constitute two fundamental additions to the Brick Yourself experience and represent important steps forward in the choices given to the customer in the creation of their minifigure. We have also polished the customisation process for our classic Custom Brick Yourself Figure in addition to adding shipping and a free new-style PVC display to every order. For our original Brick Yourself Figure, the ordering process will remain unchanged, but the quality of the figure will improve both from our ever increasing range of parts and customisation techniques as well as bonus hard branded PVC case with every order as well as free basic domestic & international shipping each figure will come with. The cost of the figure will now be $49.95 to reflect these changes but overall it actually works out a little better value for money than before. It should also be noted that although free international shipping is offered, it does not include tracking, or signature which are extra. The idea behind the “Make Your Own Figure” is to be able to offer a more cost effective Brick Yourself option where heavy customisation isn’t required. Designing the ordering process for the “Make Your Own Figure” has been the major focus of recent development and has been by far and away the most time consuming. Although we’re aware that the process can still be improved, we’re still really pleased to be offering this service to begin with. At $24.95AUD (but without the free display case or shipping) they’re a little more than half the cost of the Brick Yourself Custom FIgure. Our Premium category offers something truly special. 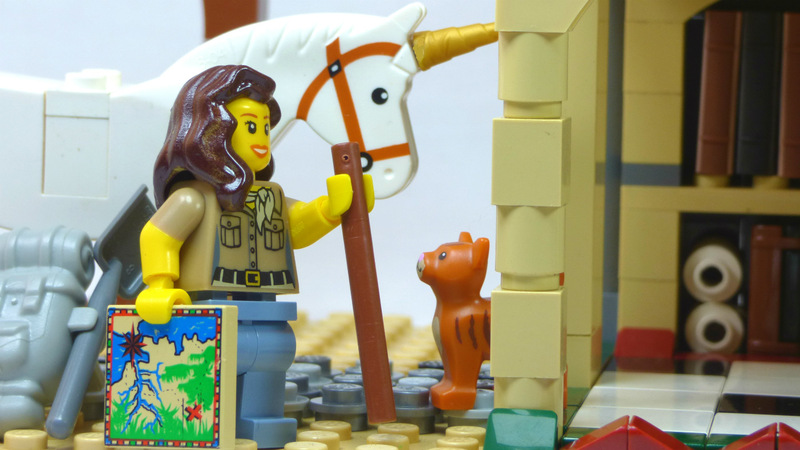 Whether it’s bulk printing a custom design, a personalised set, high end top of the line customised figures and even sculptures, our Premium Service offers exquisite creations by accomplished lego artists. This service represents the pinnacle of custom Lego design incorporating many years of experience in artistic, high-end customisation. We’ve already been privelged enough to have the opportunity to design a number of stunning works in the course of Brick Yourself. But now Brick Yourself Premium brings this process to a new level of quality and sophistication pushing our designs to the forefront of contemporary custom Lego minifigure design.